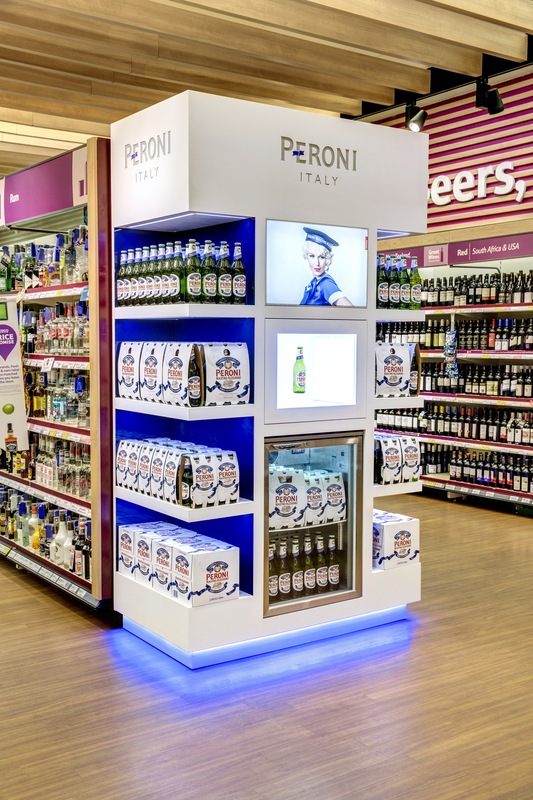 When SAB Miller needed to create a retail display for Tesco’s Store of the Future, they turned to Outform to develop and deliver a solution that spoke of the effortless style, creativity and authenticity that are at the core of the Peroni brand. Our display utilized premium quality materials, simple and elegant design touches, and the latest digital technology to create an outstanding retail presence. Peroni’s newly designed bottle “floated” effortlessly at the heart of the unit, lending an eye-catching air of mystique.